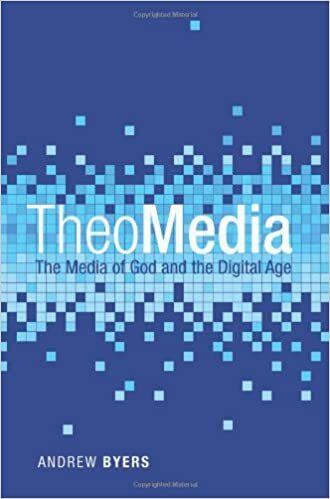 We have been working through the dynamics of theological discourse here at Hopeful Realism, specifically focusing on social media as the means and the Internet as the setting for such interaction. Theological dialogue can be done well or poorly regardless of its means and context, of course, so it is up to the interlocutors (and perhaps the interlocutors’ hosts) to ensure that the interaction, however lively or impassioned, is ultimately constructive. I have just been reading through an example of a well-hosted and a well-conducted theological discourse. It is in the means of interactive essays (which first appeared as conference presentations) and the setting is that of an edited book. In a previous post written just after cracking open the box containing my own freshly printed books, I realized that a book serves as a host. It hosts a dialogue between the reader, the author, and hopefully also with God. In the case of the book I am reading, the editors (Nicolas Perrin and Richard B. Hays) are hosting a robust, highly interactive discussion between several brilliant scholars addressing multiple concerns of urgent import. The book is Jesus, Paul and the People of God: A Theological Dialogue with N.T. Wright . The book is a compilation of addresses and responses given at the 19th annual Wheaton Theology Conference. I was not present at the conference (regrettably! ), but I heard reports from the goings-on for weeks and months afterward. So I have joyfully welcomed the release of the book. My concern in this post is with the essay by Richard Hays, “Knowing Jesus: Story, History, and the Question of Truth” (pp. 41-61). He and Tom Wright have been friends for many years. As an assessment of Wright’s approach to historical Jesus studies (most significantly represented by Wright’s Jesus and the Victory of God), Hays’ essay has a background in his previous discussions with his dear friend. At the SBL review session of Hays’ edited work (along with Beverly R. Gaventa), Seeking the Identity of Jesus: A Pilgrimage, Wright supplied an unexpectedly harsh critique. The contention between these two giants in the field of biblical studies is over the degree to which canon and creed should be trusted in our construction (or interpretation) of who Jesus was (and is). 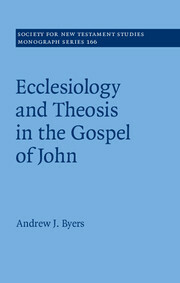 At the risk of oversimplifying their complex interplay over these critical issues, Hays calls into question Wright’s methodological approach which seems to diminish the reliability of the Gospels to accurately convey the identity of Jesus: “…the Gospels themselves become not the focus of attention but the windows through which Tom peers to find a Jesus outside and beyond the Gospels themselves” (Hays, p. 49). Seeking the Identity of Jesus is a refreshing (and daring) call for theologians, biblical scholars, and laypersons alike to re-situate the Gospels as our primary source for understanding Jesus. The confessed Lord of the Church is not to be discovered by peeling off the theological veneer of the four Evangelists in search of the historical kernels of actuality. They are the four-fold testimony that most reliably reveals him to us. Though historical investigation is indispensable for the pastoral and scholarly task of understanding Jesus, the method of stripping away the supposed glosses is an unnecessary exercise in futility (sloughing off those glosses has proven to be an arbitrary and subjective activity, in spite of the commitment to historical veracity so championed in the process). Hays recognizes, of course, that the canonical Gospels exhibit variations in their presentation of Jesus. But this does not disturb his scholarly and personal reading of the Evangelists. He does not feel the need to iron out the wrinkles or altogether excise them from the received text in order to reduce Jesus to the simplest historical denominator: “As a reader of the New Testament I want to hear the complex polyphony of the choir of singers, not just a critically extracted unison melody” (Hays, p. 55). Near the essay’s end, Hays hosts an imaginative dinner conversation between Wright and Karl Barth in hopes of demonstrating that the two of them are perhaps less at odds with one another’s approach to history/story than Wright himself may have supposed. As the subtitle indicates, this book is a “theological dialogue,” so Wright has the opportunity to respond. He maintains confidence in his unique adaptation of historical methods, and also maintains a degree of skepticism toward the Great Tradition which has at times manifested an ahistorical approach to the Gospels (searching for theological kernels at the expense of history, perhaps not unlike today we see scholars searching for historical kernels at the expense of theology): The Great Tradition has seriously and demonstrably distorted the gospels” (Wright, p. 63). What a statement! 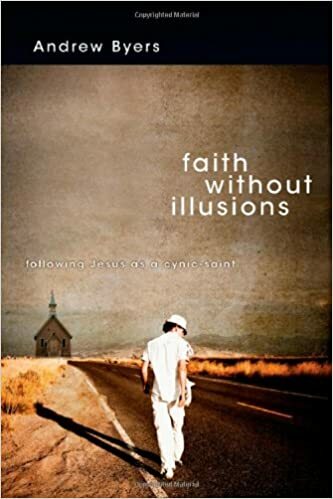 But let’s hear him out: “Eager to explain who God really was, the church highlighted Christology; wanting to show that Jesus was divine, it read the Gospels with that as the question; looking for Jesus’ divinity, it ignored other central themes such as the Kingdom of God” (Wright, p. 63). So Wright believes strongly in the discipline of peering through the Gospels to discover “a Jesus ‘behind the text’,” but in doing so, he is not trying to undermine the fourfold Gospel testimony—he is simply honoring that canonical testimony in his historical investigations for the purpose of understanding them more accurately. Wright has a much longer essay (somewhat in response to Hays) which I will read presently. In closing this post, however, I want to highlight the nature of the theological discourse between these highly influential scholars. Hays and Wright do not squeamishly or gingerly make their proposals. They are careful and calculated, to be sure, but their assessments and critiques are pointed and sometimes sharp. Healthy theological discourse is not timid. But it should be grounded in a respect toward the conversation partners. Hays charitably closes his essay with this: “May Richard and Tom embrace—and rejoice in the truth” (Hays, p. 61). One last point to make about their theological discourse: the dialogue is addressed directly to one another, yet governed by a weighty, gravitational pull centered on the subject matter which is higher and more important than both of them. Their dialogue is oriented ultimately not toward themselves personally, toward a one-upmanship in demonstrating personal superiority over the other. In reading their interaction, it seemed refreshingly clear to me that the orientation was directed toward the urgent and glorious task of thinking about Jesus. That’s theological discourse we can celebrate and learn from. Nicolas Perrin, Richard B. Hays, eds., Jesus, Paul and the People of God: A Theological Dialogue with N.T. Wright (Downers Grove, IL: InterVarsity Press, 2011). Just discovered your site and read this post and I have to say it is so refreshing! I have read lots of both Hays and Wright and know NTW from Oxford days. Your post is obviously both thoughtful and heartfelt but also keeps a tone which amongst so much harsh rhetoric these days is alike a breath of fresh air. I am excited at the research both Wright and hays are doing and pray that added debate will hone the material (and the men) for the benefit of all of us. Thanks very much for the post and I shall visit the site often from now on. I appreciate your comment on this post so very much, Terry! Joel and I are trying to be extremely conscientious about theological discourse online, which so easily falls into overreaction and arrogance. I just moved to the UK. I will be doing doctoral work at Durham in the Autumn. Glad to know someone from Birmingham is reading this blog!